This page shows the latest inVentiv Health news and features for those working in and with pharma, biotech and healthcare. Writing in a guest blog for Age UK, founding partner of healthcare consultancy Incisive Health Mike Birtwistle says successive British governments have dodged this difficult question. . ... Read the Age UK and Inventiv Health report here:. Align Clinical CRO will improve clinical trial collaboration. Biopharmaceutical solutions organisation company Syneos Health has helped to establish Align Clinical CRO, a new industry standards group which aims to improve clinical ... patients.”. 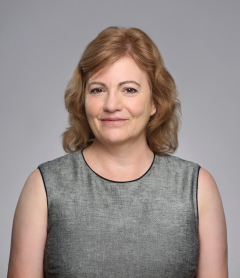 Barbara Gerber is VP managing director at Addison Whitney, part of INC Research/inVentiv Health, leading the industry in pharmaceutical brand name approvals. Approximately 10 fully matching, plus 40 partially matching documents found. Sophie Asker and Fiona Tavner are both senior healthcare communication consultants at Inventiv Health Communications. She brings over 18 years of marketing and business development experience to the role, joining from inVentiv Health Clinical where she had served at business development VP since 2013. Approximately 5 fully matching, plus 13 partially matching documents found. Badger joins from inVentiv Health agency, Biosector 2, where he held responsibility for global advocacy programs.